Security and architectural hardware manufacturer Hampton Products International has introduced the Array By Hampton connected door lock—the first in its family of smart home products. “We’re putting our corporate name, Hampton, on this product because the Array By Hampton ecosystem represents a new standard in connected home security locks, cameras, lighting, and other devices–high-quality security devices all controlled through a single mobile app,” says Kim Kelley, president, Hampton Products International. The manufacturer says Array has been designed with direct feedback from consumers over four years of development and has features consumers want in a smart lock. For example, it has no secondary hub or batteries to purchase and offers functional flexibility. It offers an app-first design (Android and iOS), multiple ways of access (by physical keys, e-Keys, and e-Codes), and virtually hands-free entry using geo-location and a Push Pull Rotate handle. Array’s app allows users to create e-keys and e-codes and monitor door usage. 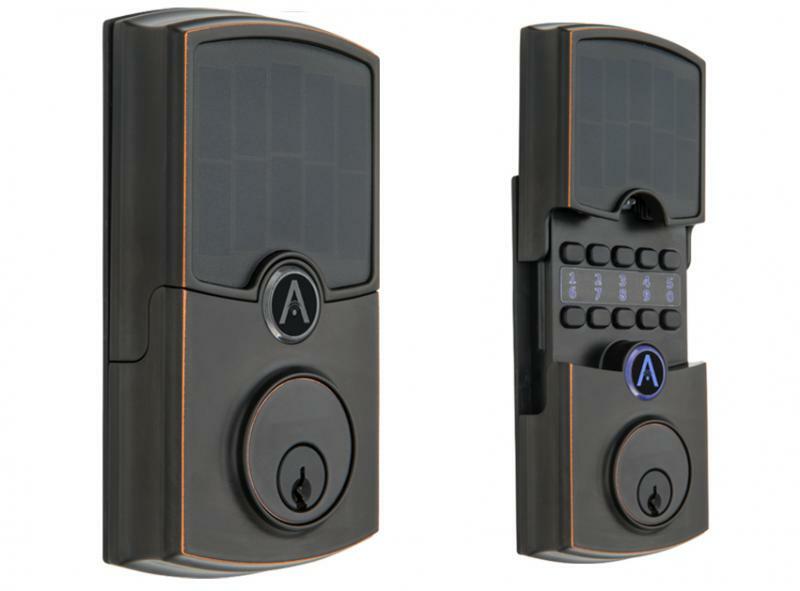 An integrated metal keypad allows them to enter user codes without a smart device or key, and the device comes with two custom rechargeable and replaceable lithium polymer batteries. An integrated solar panel supplements battery recharging. The unit is available in two styles—Cooper (modern) and Barrington (traditional)—and in polished chrome, satin nickel, and Tuscan Bronze. It’s available in ACE Hardware stores, acehardware.com, and arraylock.com soon. Looking to order the lock online to Canada but can not find the right web site. It let order only to US. Please E-Mail me the right web site to make the order.